Michael Paul “Fergie” Williams, 63, of Rockford, Ohio, went home to be with his Savior and Lord on September 17, 2018. Mike was born on April 29, 1955, in Van Wert, Ohio, the son of Bill and Barb Williams of Mendon, Ohio. Mike married Deb Bilter of Celina, Ohio, on August 1, 1975. They had two daughters, April Christie Williams Vann, from Celina, Ohio, and Heather Nichole Williams ( Andrew) Miller from Manchester, Tennessee. They have 8 grandchildren: Dilon Vann from Kentucky, Montanna and Rylee Vann from Rockford, Ohio, Kaitlyn, Tommy, Logan, Ava, and Zane Miller from Manchester, Tennessee. Mike has 3 sisters: Carolyn Warnock of Ft. Wayne, Indiana, Connie (Greg) Stoner of Cridersville, Ohio, and Millicent (Sean) Ireland of Willshire, Ohio; and one brother, Adam (Lisa) Williams of Mendon, Ohio. Mike has a brother-in-law, Denny (Faith) Bilter, from Marysville, Maryland, and two sisters-in-law Brenda (Tom) Lange of St. Henry, Ohio, Shelly (Mark) Shaw of Celina; Mike had several nieces and nephews as well. Deceased are his daughter, April Vann, his mother-in-law and father in-law, Don and Madlyn Bilter, and two brothers-in-law, Don Warnock and Mike Altenbach. Mike graduated in 1973 from Mendon Union School. He then worked at Huffy’s for 10 years; when they closed, he started work at the Budd Company in Van Wert, Ohio. He worked there for 24 years, and retired from there. Mike was a member of New Horizons Church in Rockford, where he had been a Sunday school teacher; and he worked at EGGS on Friday mornings before school, where they cooked breakfast for children. Mike loved making woodworking items: he made plaques, doll houses, rocking horses, shelves, tables and many other items. And he loved John Deere items! He loved trains and had two rooms of trains and liked to see how many he could run at the same time. He enjoyed going out to eat with Fred Getz for breakfast and then doing “guy things”. 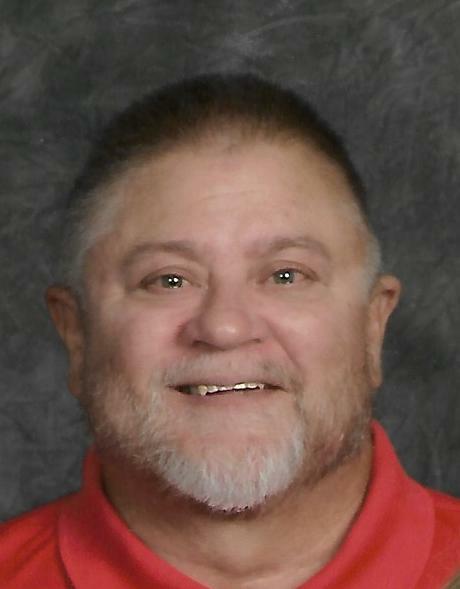 He loved coaching with Steven Keller when his daughter was in softball. His greatest love was when he and Deb would go and visit their daughter Heather and son-in-law Andy and the grandkids in Tennessee. He also was happy to raise April’s children. He always said God never gives you more than you can handle.